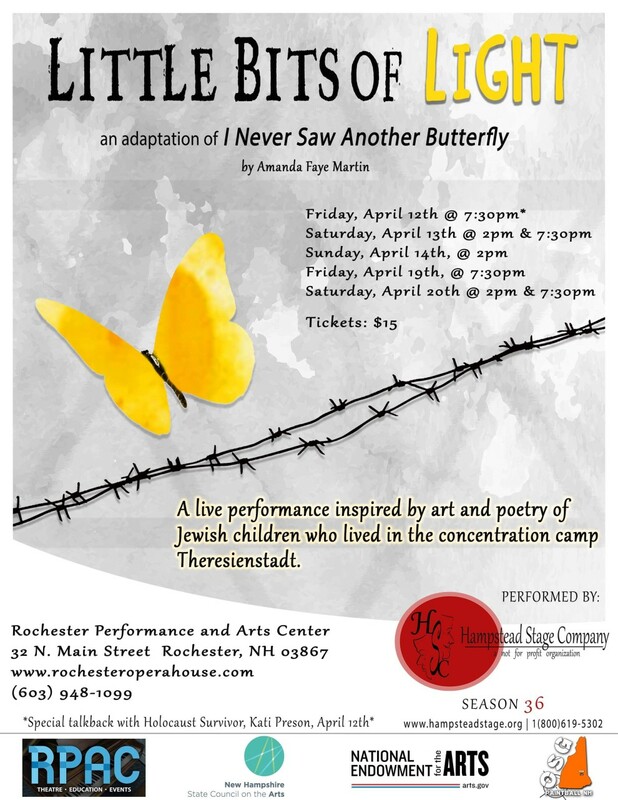 In this unique adaptation of I Never Saw Another Butterfly, playwright Amanda Faye Martin intertwines poems and artwork from children at the concentration camp Terezin with major historical events and her own family’s history. The story follows Pepicek, an optimistic Czech boy, and Werner, an isolated young man who only recently discovered he’s Jewish, during their time at Terezin. Tension builds as the camp anticipates a visit from the Red Cross and children are whisked away to places unknown. Despite the harsh reality inside the camp, Pepicek and Werner must find moments of unity, a sense of identity, and little bits of light.